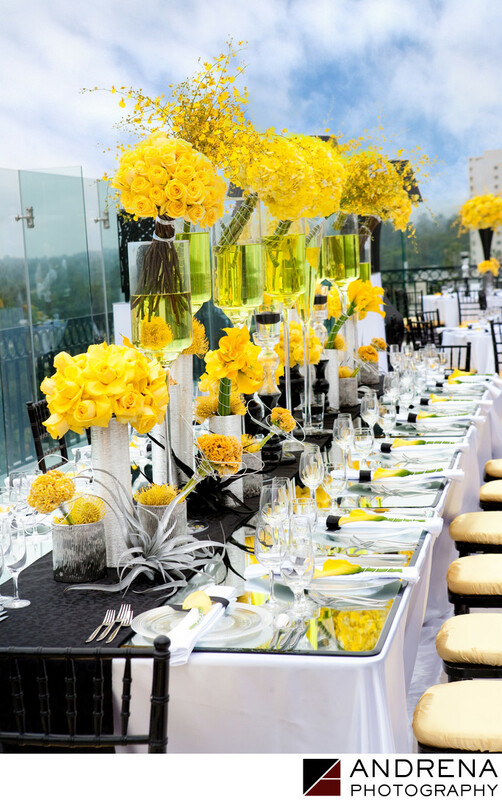 The team at Square Root created this yellow, black and white modern palette for an outdoor reception on the rooftop of The London Hotel in Los Angeles. The gorgeous yellow provided a perfect complement to the Hollywood skyline, which was easily visible for miles, courtesy the great London Hotel rooftop view. This wedding decor was published as a four-page spread in Ceremony Magazine.